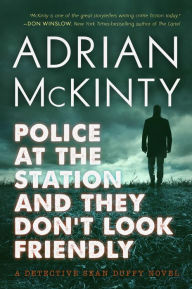 I have begun browsing Police at the Station and They Don't Look Friendly, sixth of Adrian McKinty's novels about Northern Ireland police officer Sean Duffy. Ian Rankin loves these books, and he's not wrong; I'm a fan, too. I've read far too little of Police at the Station ... to write a review, and, since I'm reading an advance reading copy, I'm honor-bound not to quote from it in any case. I can tell you, however, that the book demonstrates once again McKinty's flair for suspenseful, funny surprisingly lyrical opening scenes, sometimes all at once, other times in varying proportions. This latest is up there with the opening chapters of Cold Cold Ground, Rain Dogs, I Hear the Sirens in the Street, and Fifty Grand. Moreover, the parts of his books that come after the first chapters are pretty good, too. Reviewers praise crime novels for their plots, their themes, their characters, their sociology, their psychology, their politics, their settings, their conformity with or deviation from trends, where they fit in the publishing landscape, and whether or not they're from Scandinavia. Writing? That doesn't get mentioned much. I suspect this is because reviewers and other people are uncomfortable talking about writing at best or wouldn't know good writing if they saw it at worst. 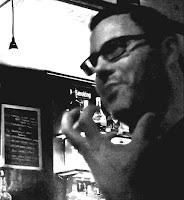 McKinty has noted something like a puritanical aversion in some writing circles to writing that exists for its own sake, that shows off a little. He is not constrained that way in his own work, which is one reason you should read him. That, and all that good stuff about Northern Ireland, and the jokes. You're welcome. And you know I always cite Fifty Grand and Stuart Neville's Collusion as exceptions to my anti-prologue bias. This is another good one, I think, creating suspense all the sharper because the reader knows in a way what's going to happen. Or does he? Pine Barrens hits home, though not the allusion allusion, I must say. I'm not up on stuff. As it happens, I've been playing guitar again, even writing music, and listening to Belly, the English Beat, Marshall Crenshaw, and so on ... all kinds of stuff that Sean Duffy might have been listening to if he were not too busy with Arvo Pärt. Yeah thats all GREAT stuff. The kind of stuff I loved. That's a good tease; I'll look for the episode. Melbourne was well represented at Philadelphia's NoirCon in October, by the way, if you hadn't noticed already. Leigh Redhead and Andrew Nette both came into town. I was also lucky enough to score an advance copy. Police t the Station is a worthy addition to what I think is the best series going right now for all the reason you cite here. I know of no series that puts the reader in its setting--both time and place--as well. The tension of knowing one has to check for car bombs before every trip is interrupted by laugh out loud bits that are immediately followed by reminders of the overall grim situation. First rate in every way. "Writing? That doesn't get mentioned much. I suspect this is because reviewers and other people are uncomfortable talking about writing at best or wouldn't know good writing if they saw it at worst. " Maybe. Probably. I also wonder how much of it has to do with the unconscious biases we develop because of the "literary vs. genre" debate. I haven't seen too much overt bickering about it lately, but with much of the criticism of the literary side focusing on striving for the "sentence beautiful" at the expense of story, the backlash might logically be not to concern oneself with the beauty of the writing. Personally, I see no reason to settle. I look for both a good story and excellent writing when I read, which is why I enjoy Adrian's work so much. He's not along in meeting those criteria, but I can't think of anyone better. I agree. I've read the first five in the series and will read those I'm missing shortly. I think it's the best series going today. Dana, Id have included "sentence beautiful" in my post if I'd thought of it. That was my point: that good writing is not synonymous with the sentence beautiful. But I also know that there are lots of bad and indifferent writers out there and that good writing is not valued in places where it should be. I may include examples in my memoirs.